EURUSD little changed overnight. 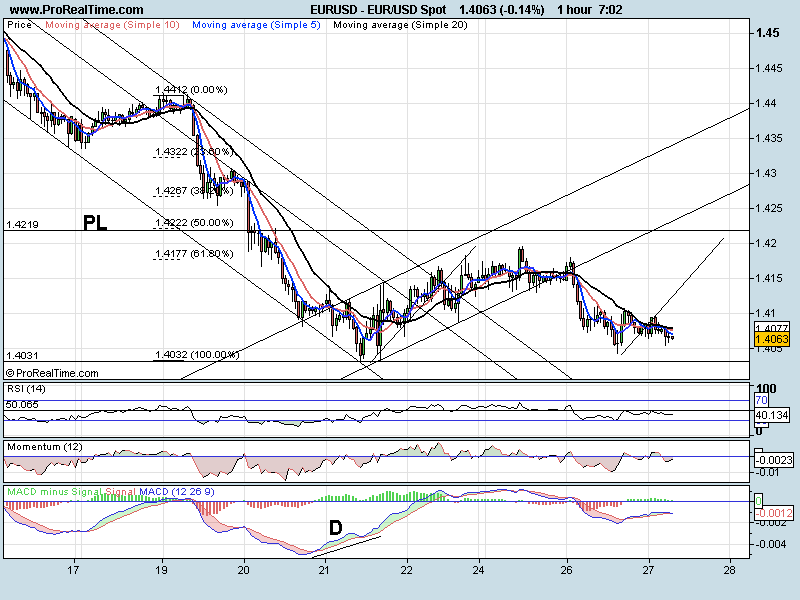 Yesterday we made a move to try to penetrate the previous low at 1.4032 but failed, reaching just 1.4042. We are holding below the 20 SMA at the moment and are making lower lows. Momentum and RSI are both in their sell zones so overall we have a downward bias. 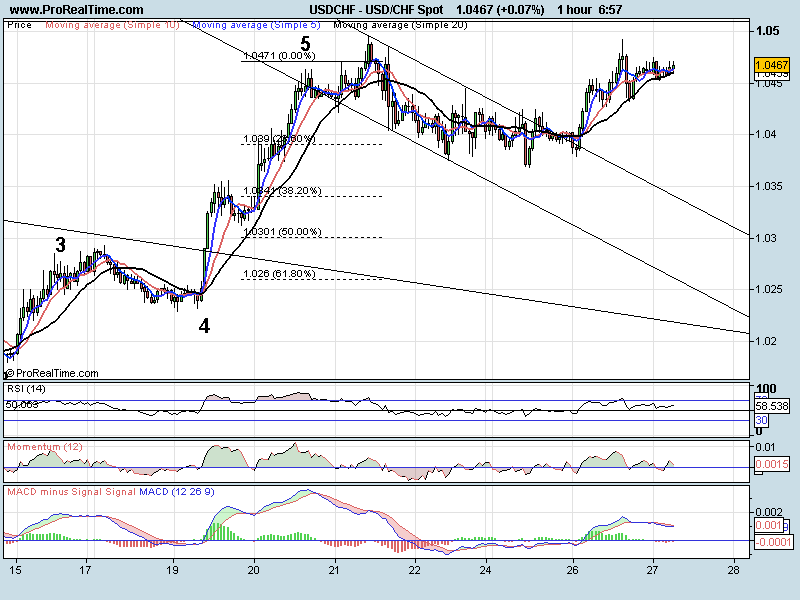 However, we are showing some divergence to buy on the 4 hr chart (MACD) so this correction may not be finished yet. 1.4032 is the key level. If we can break there then the bias is strongly to the downside. 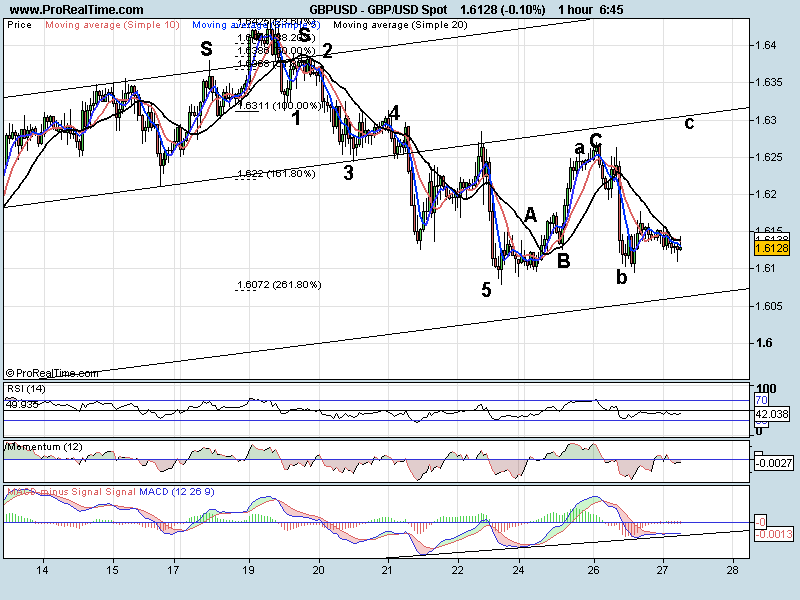 A move up above 1.4108 and we may see 1.4200 in an ABC correction. We have the FED interest rate decision tonight. We had that sharp move higher yesterday morning on the news but it was soon pushed lower but failed to make a new high. Now moving lower again in what looks to be an ABC correction. 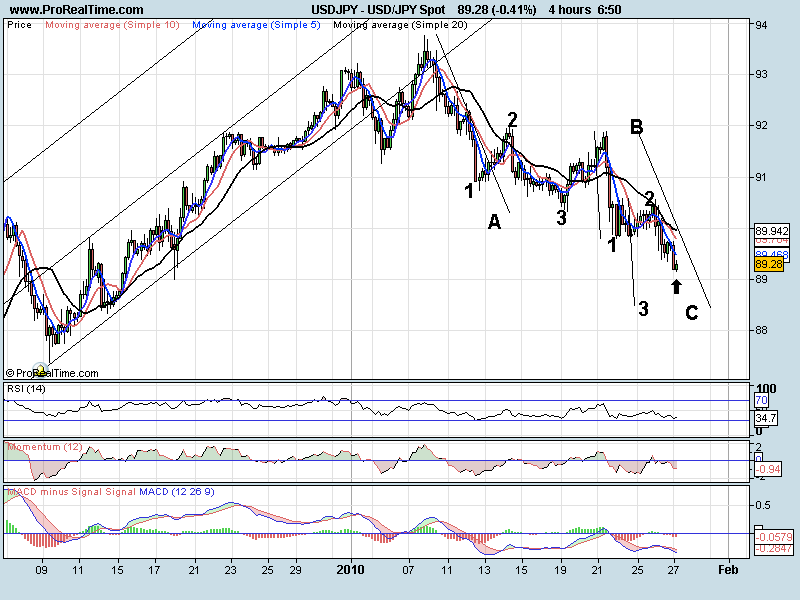 The target area would be 88.50. A move back up above 89.81 would negate this view.